Aberdeen need to come back from the international break more alert to potential slip-ups. 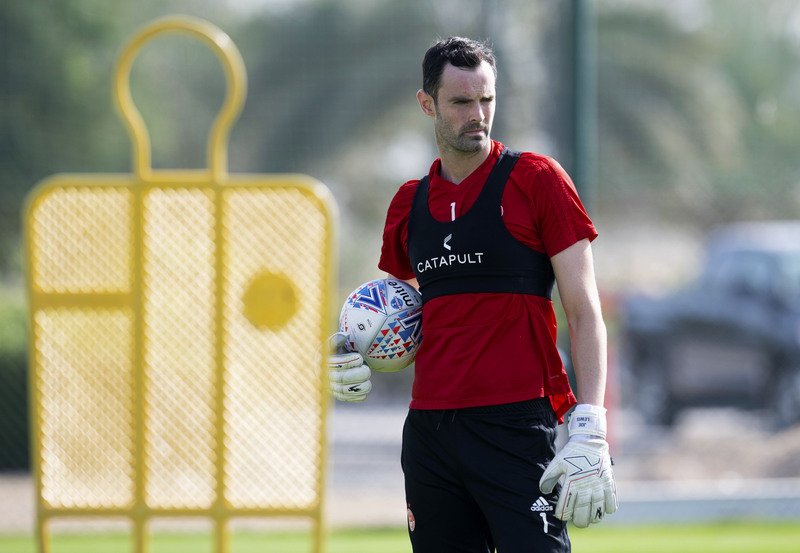 That is the view of goalkeeper Joe Lewis, who lamented the defensive breakdown that helped Livingston emerge from Pittodrie with a point at the weekend. The draw with the Lions took some of the gloss off what had been a promising week for the Dons, following a draw at Celtic Park and beating Rangers for the third time this season. Rangers dropped points against Kilmarnock on Saturday, meaning the gap remains at eight points to second place and Killie remain on Aberdeen’s coat-tails in fourth. On the back of two clean sheets against the league’s top two sides, Lewis says a repeat of Saturday’s mistakes cannot be permitted once the Dons return to league action. He said: “We need to make sure coming after the break that we’re a lot more organised and switched on at those moments. We know Livingston are a good team and pray on mistakes like that that let them back in the game. 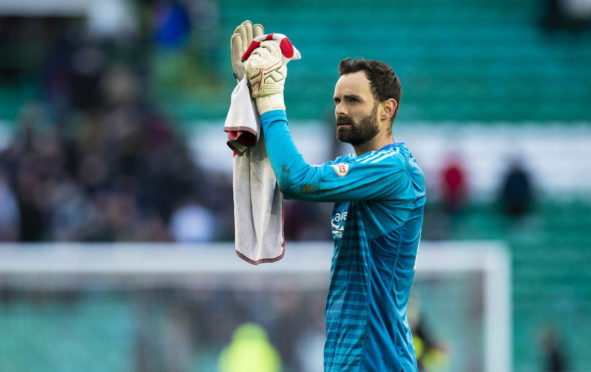 Joe Lewis feels Aberdeen need to come back sharper from the international break. This is a break coming at a good time for an Aberdeen side battling numerous niggling injuries, with Connor McLennan (knee), Greg Stewart (hip), Andy Considine (calf), Scott McKenna (thigh) and Gary Mackay-Steven (ankle) all either missing or playing through the pain barrier for the club. McKenna’s injury makes him a doubt for Scotland duty this week, with the national team due to play Kazakhstan and San Marino, while Graeme Shinnie is also part of the same squad and Niall McGinn will be away with Northern Ireland. Lewis added: “The lads will get a bit of a rest and make sure any niggles and injuries are sorted and make sure we can attack that last set of games. I think this international break comes at a good time during the season. Some of the earlier ones come too frequently. “We can’t help that but it’s slow to get the season going sometimes and build some momentum. But I think this one comes at a good time and we’re able to rest up and mentally prepare for the run in which is going to be huge for us.